The 360 Camera is now out of stock, but you can still grab the phone itself for $449.99 in either Black Moon or Pure White. Amazon is now matching the $449.99 price, but only for the Pure White model. I'm being seriously tempted. Yes, you're reading that right - the Essential Phone (and its 360 Camera mod) are already getting another price drop, courtesy of Best Buy. Less than two weeks after the phone's official price drop to $499 (or $300 with the friends and family discount), Best Buy has dropped the Essential Phone's price by another $50 to $449.99. Plus, it's offering the 360 Camera, which has an MSRP of $199.99, for just $49.99. Essential is trying really hard to get rid of these things. $449.99 gets you a phone with a 5.7" 1440p LCD (okay, it's technically 1312p), a Snapdragon 835, 4GB of RAM, 128GB of storage, and dual cameras. And if you add only $49.99 to that, Best Buy will also throw in a 360 Camera, which usually costs $199.99. Keep in mind that this combo cost $749 at release ($699 MSRP, plus a similar $50 offer for the 360 Camera). Currently, the price drop is only available at Best Buy; not even Essential's site is showing it. 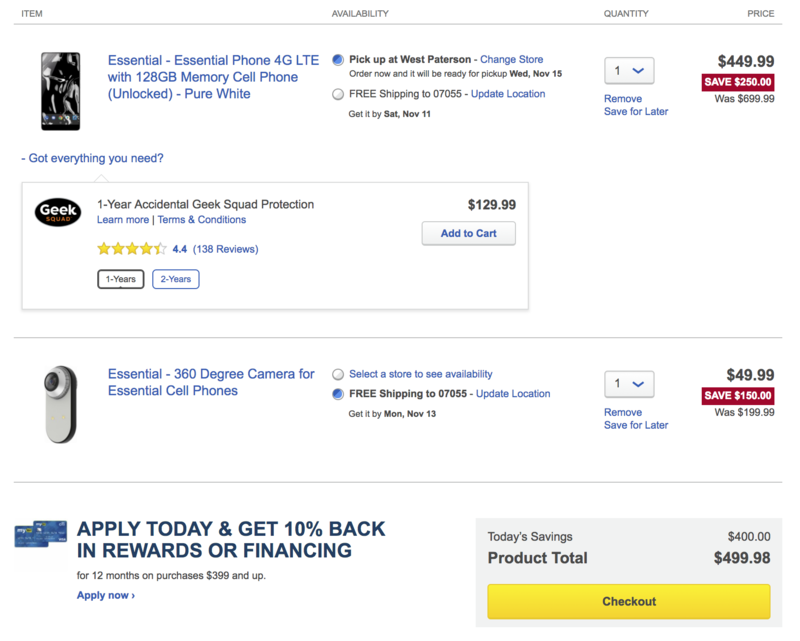 We're not sure if this is a Best Buy-only deal, or if Essential will also honor this discount. 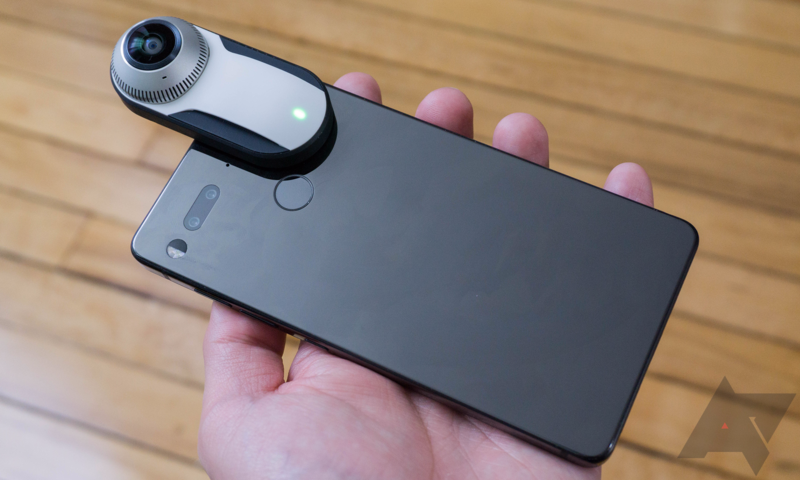 The cost of the PH-1 and the 360 Camera together is now almost the same as it would be with the $200 friends and family coupon, which is pretty incredible. And in case you were thinking what I've been thinking for the past few days, these friends and family coupons are far and few between on eBay, and when they do pop up, they don't go for cheap. There's never been a better time to buy an Essential PH-1 + 360 Camera bundle. But given the sheer amount of Essential price drops we've seen recently, we almost wouldn't be surprised to see yet another price drop in a week or two. The Pure White model has gone up to an unreasonable $680 or so on Amazon, but now the Black Moon model is $449.99. It's not too late to pick one up.